Let’s face it. Not all of us are great at budgeting, be it time or money. Some people may cringe at the sound of budget just like an individual involved in SEO when hearing “crawl budget”. Fear not, you are not alone and all is not lost. Many individuals and businesses have gone through many a sleepless night burning the midnight oil to come up with a decent and well-thought-out personal budget. 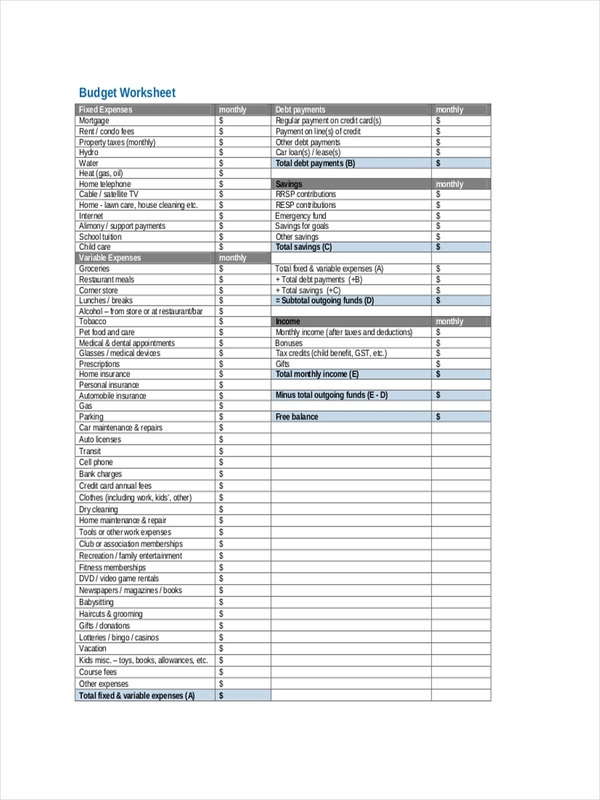 Examples on the page provide better understanding to the budgeting structure and process, borne from their efforts. Scroll down for more information and take a look at the samples available. 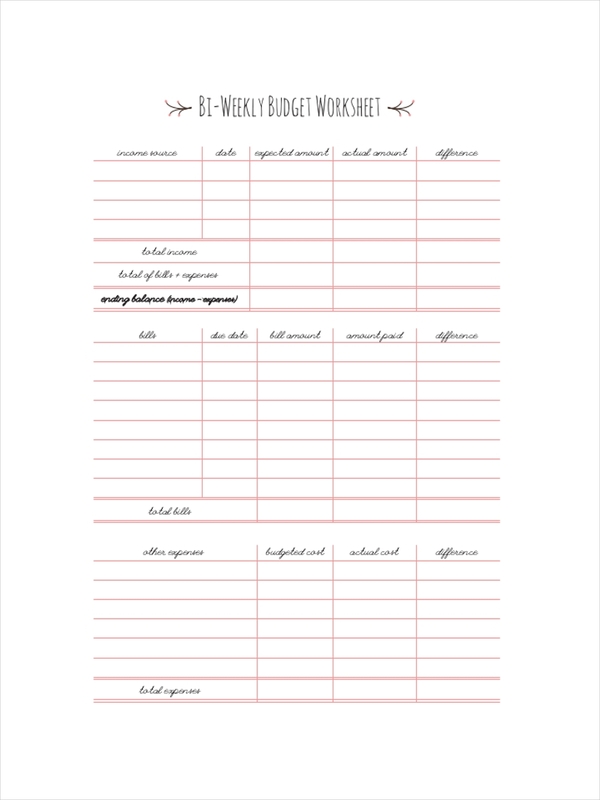 Much has been said on how to have a bi-weekly budget. Most of us have pay cycles that happen twice a month. Thus, the two-week budget dilemmas. 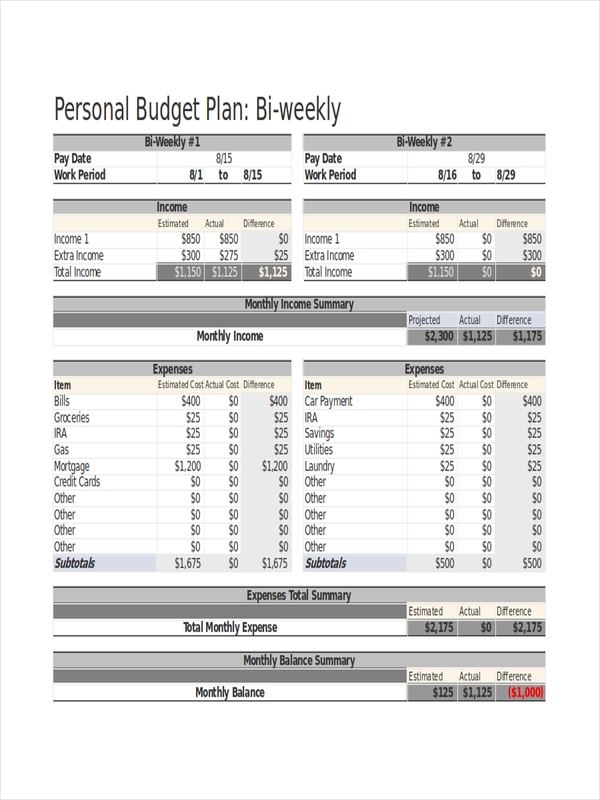 Budget examples and monthly plan budget examples can be made from the examples shown in the page. Looking at the samples provide further information and should inspire you in making your own budget plans. Many of us probably have trouble in budgeting our salaries to cover the next pay date. Budgeting your bi-weekly pay or two-week pay would not be easy, but it can be fairly good if the following steps are taken. 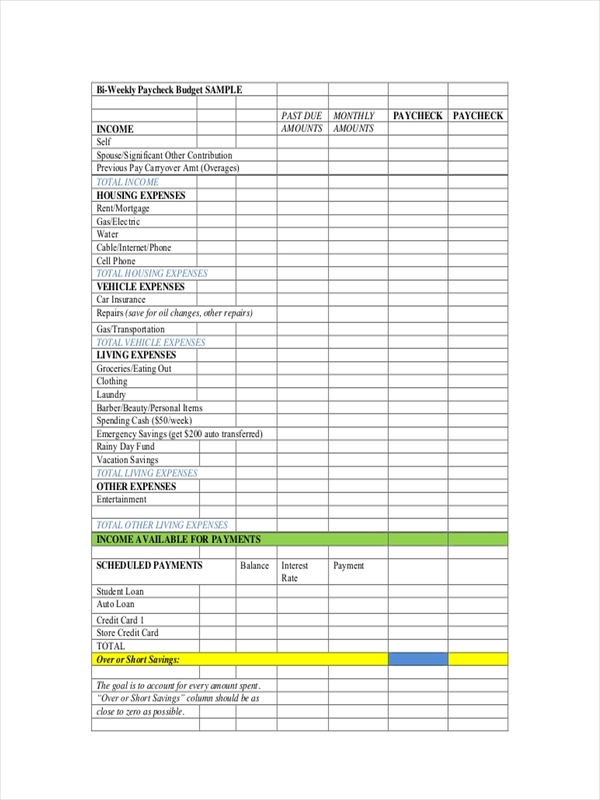 Identify your monthly expense reports and divide them by two. This is your baseline for what needs to be paid. Allocate your income to expenses relating to basic needs like food, housing, etc. Always leave at least 10 percent as emergency funding. You can increase the amount after a month in case you still have extra. 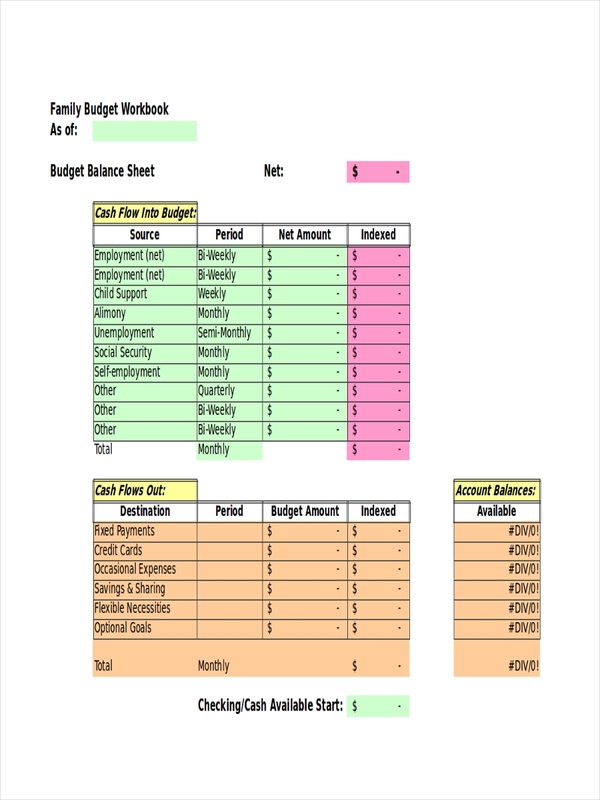 Blank budget examples and basic budget examples are shown in the page for additional reference in making your own budget plan or sample schedule. Start with an emergency fund. This should be roughly equal to your two-week pay. 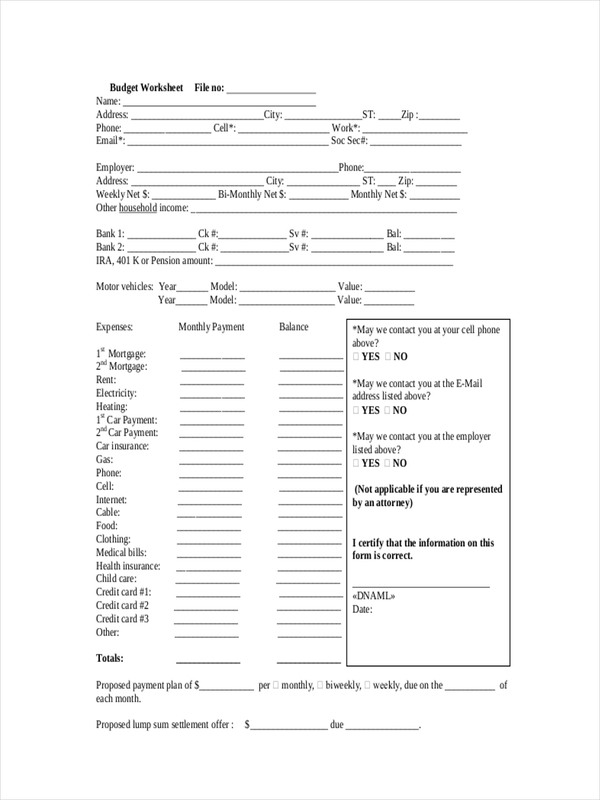 Always consider your budget for two weeks notice and allot payment for your bills first. Cut down on your expenses. Consider diverting your expenses to target saving for say, your retirement or a new car. 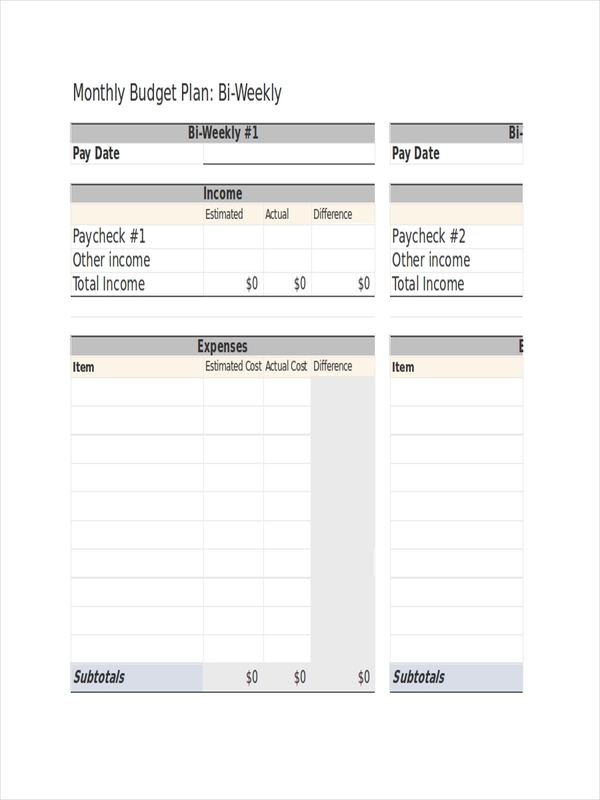 Budget examples in PDF and simple budget examples are shown in the page for reference. For those who are getting a salary on a two-week basis, it is important to keep your spending in check to avoid costly charges and getting your credit note all the way to the moon. It is also particularly note worthy to mention having an emergency fund of at least worth one paycheck just in case things get a bit hairy. Keeping tabs of your actual spending may sometimes result in you saving up for that fancy vacation you always wanted. 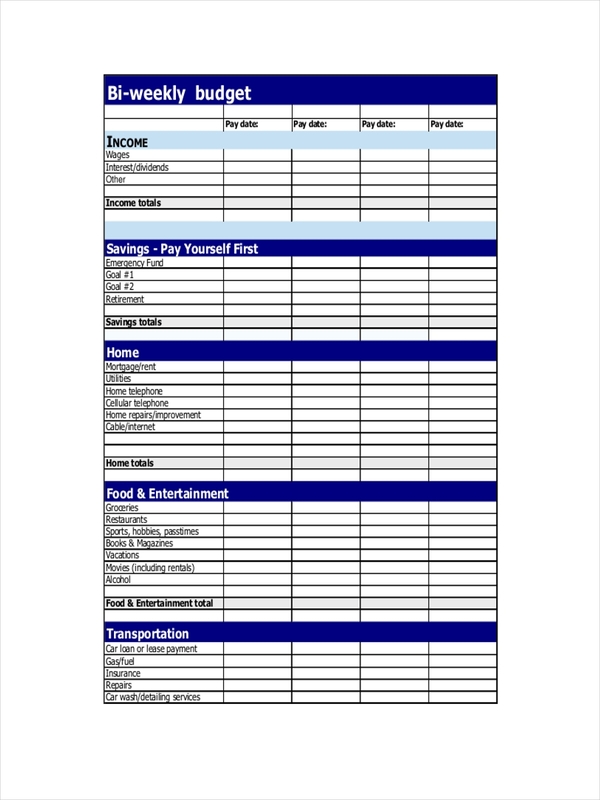 Modifiable budget examples (in .doc format) and personal budget examples can be downloaded from the page. Just click on the download link button beneath the sample chosen to start the process. It’s quick and it’s free, for those with tight time budgets.